Malcolm Scott Consultants is advising nursery and garden centre owners across the UK to consider releasing surplus land as local authorities seek to comply with national requirements to identify more land for housing and commercial development. Chris Primett said that on-going pressures on Local Planning Authorities to provide such land continues to create opportunities for garden centre and nursery owners to release land for such uses. Such authorities currently review the availability of land in their districts on a regular basis through the local plan process and in so doing, often consider a ‘call for sites’ exercise. Chris said: “These authorities need to be sure that there is sufficient land available to meet their emerging developments land requirements, and to demonstrate that any land which they identify for development is deliverable within a given time period. A key test in deliverability is demonstrating that the land will be made available by the land-owner. “The ‘call for sites’ exercise is therefore, an opportunity for land and property owners to make Local Authorities aware of the availability of their land and the time frame within which it can be released. There are a number of nursery owners with excess land who may not realise that they have a solution, or don’t realise that it is an opportunity due to a lack of awareness about timescales,” he explained. The team is now working with owners of sites with control over such land to help make the relevant Local Authorities aware of its availability. “The Local Plan system is an on-going process. 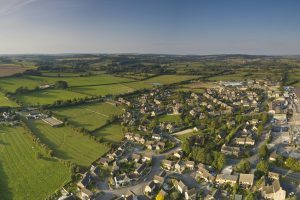 While plans are generally reviewed every five years, there is a lot of work undertaken in the build-up to the preparation of a local plan and even when one is adopted, preparation of the next begins quickly. “With our team being in regular contact with officers within the organisations, we’re well-placed to work on our clients’ behalf to discuss the options while the need is such a hot topic,” said Chris. He added that the business was aware of significant opportunities to release land adjoining or just outside of existing urban areas throughout the country, particularly around the metropolitan areas of Greater Manchester, the West Midlands and Bristol which represented excellent opportunity for those with land within those areas.